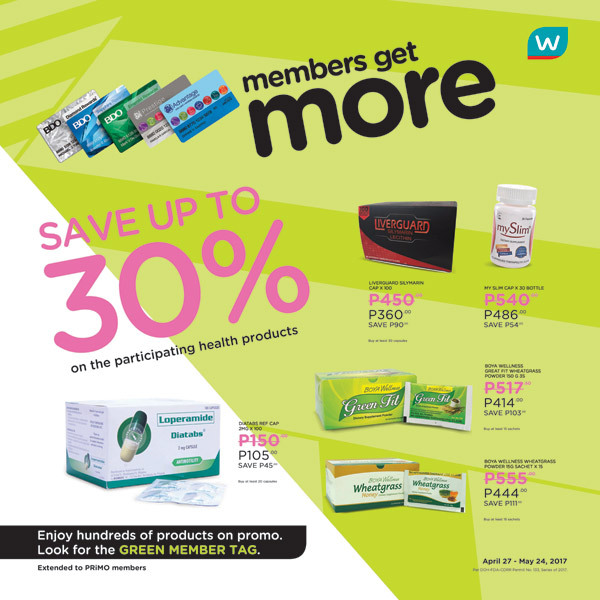 Shopping for the best beauty and health products just got even more exciting and satisfying as Watsons, Asia’s leading health and beauty retailer, today launched its “Members Get More” campaign where members get more savings, more points and more value in more than 500 Watsons stores nationwide. 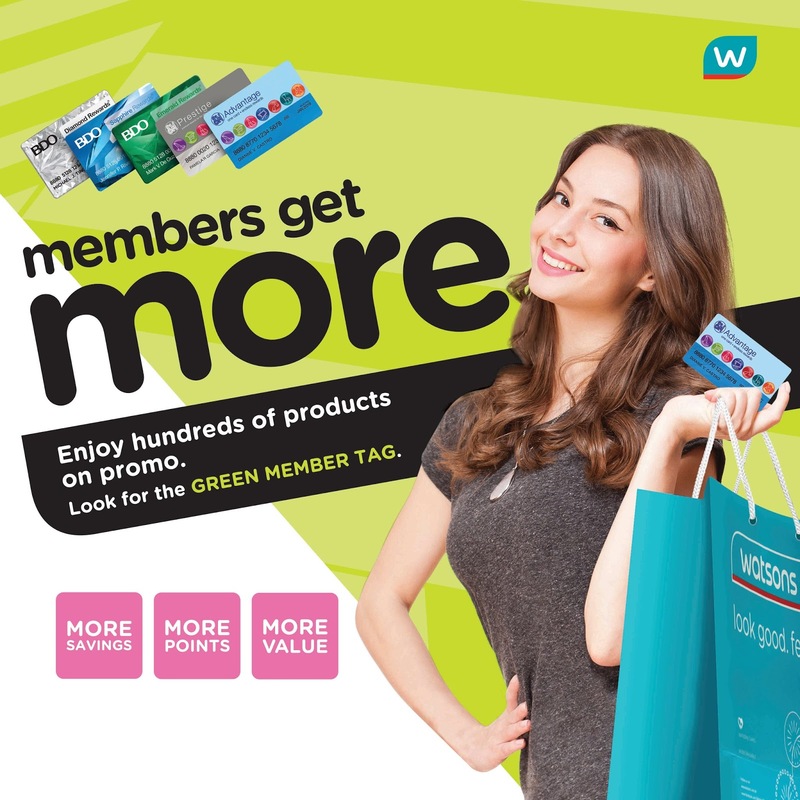 Members Get More gives shoppers more reasons to come back to Watsons by giving more rewards and exclusive privileges to card-bearing customers. Cardholders who shop at Watsons will be entitled to “members only” promotions that allow them to earn more reward points, which they can also use to pay for their next purchases. 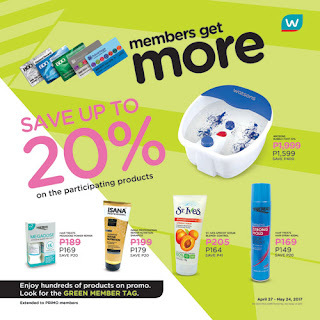 Members can also enjoy more discounts, as they can choose from hundreds of products on member price. They can also get exclusive freebies and easily join eRaffle promotions exclusive to members such as the recent Make Your Summer Promo where members get a chance to win a trip for four to any of 5 local summer destinations. Members will also be the first to be notified of upcoming deals and offers and can receive invites to exclusive events. 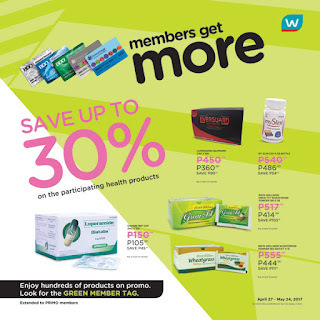 Also included in the Watsons loyalty program are SM Prestige and BDO Rewards card. SMAC members and other participating cardholders can get even more savings when buying items at “members only” price. 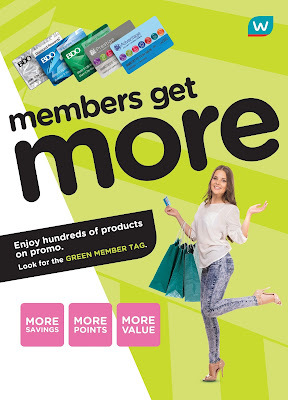 All they have to do is choose from the hundreds of items which are specially marked with a Green Member Tag. Since SM Advantage’s inception in 2002, it has redefined the meaning of shopping by rewarding more than 9 million of our members not just with points they can earn and redeem but also exclusive perks and discounts they can enjoy. Going beyond the mall experience, SM Advantage has become part of its members’ daily lives. From simply paying their phone bills, to gassing up their cars, to booking their accommodations on their next travel destinations and just recently, through pawning, and money transfers- giving our members more reasons to be rewarded.